The Honda Prelude was built from 1978 until its discontinuation in 2001. Although it was mechanically similar to the early Accord, the Prelude was smaller, lighter, and sportier. 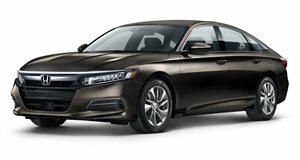 It also borrowed the original Accord’s four-wheel independent struts, brakes, and engine. However, it featured its own unique chassis. A few of its competitors include the Toyota Celica and Nissan Silvia. The Prelude was also the first Honda to feature a power moonroof. In Japan, that moonroof was a sliding metal unit while in the US it was glass, enabling greater headroom. Sunroofs became a signature Prelude trait from that point onward. Under the hood was a 1.6-liter inline-four rated at just 79 hp and 93 lb-ft of torque or an optional 1.8-liter inline-four. However, the latter engine produced 72 hp and 94 lb-ft in the US market. Initially, just two transmissions were offered: a five-speed manual or a two-speed semi-automatic, but a three-speed slushbox arrived not long after the Prelude’s initial launch. Total weight: a darn reasonable 1,980 pounds, which is less than a first-generation Mazda MX-5 Miata. It’s easy to see the Prelude’s appeal. 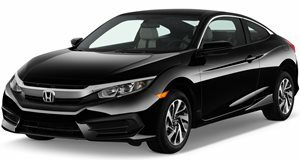 Honda wanted a more premium coupe with a sportier edge to compete against those aforementioned Japanese competitors as well as a few from the US. Remember, this was right around the time when Honda opened its Marysville, Ohio production facility which to this day still builds Accords. The Prelude received rave reviews from the automotive press at the time of its launch and it sold well enough in the US to earn a redesign that came in 1982. A total of five generations appeared before the Prelude’s departure from the Honda lineup 23 years after its arrival. But there was one Prelude trim in particular that has become the so-called ultimate MK1 Prelude. And, of course, it was sold in Japan only. The Prelude XXR came standard with a lot of features not available in other markets, such as the Kanji-labeled "Electronic Navigator” that’s mounted behind the shifter and above the factory graphic equalizer. There’s also a digital clock, which may seem pretty basic today, but the US-market MK1 Prelude had a mechanical flip quartz-powered clock. The standard two-tone exterior paint job was also unavailable on US market cars. Even the four-spoke wheels are quite unique due to their factory stampings stating wheel size and the model name. The interior also features a cloth upholstery with an interesting design as well as a ski pass-through in the rear. Rear disc brakes were also standard fare. But perhaps the most important XXR feature was its more powerful 1.8-liter engine, rated at 94 hp. If this all sounds tempting for you then perhaps you’d be willing to shell out $8,000 for this 1982 example up for sale on Craigslist. The seller, located in the Los Angeles area, claims they imported the car themselves and it’s registered in the East Coast and it’s fully licensed to be driven in the US. Although it has a total of 99,000 miles on its odometer, the Prelude XXR’s overall condition looks to be excellent inside and out. We particularly like its two-tone blue and silver exterior. The only real downside, in our opinion, is the automatic gearbox instead of the five-speed manual. Still, considering this Prelude’s rarity and solid shape, chances are you’ll have a hard time finding another one like it already in the US.